While I was convalescing Cathay Pacific had joined the rate-race that became the Migrant Charters. This was the lucrative carriage of thousands of migrants who flocked to Australia in late 1947 from several European countries. Dozens of companies were involved in this work although few survived when it terminated. The trade grew and some companies were almost blackbirding, but the final heartbreak came to these unfortunates at Darwin, the front door of their new country. To better understand the migrants’ plight one must analyse the thinking of the Parliament of the day. Basically, their difficulties sprang from the thwarted ambitions of the Australian Labor Party under Prime Minister Ben Chifley. He had assumed the leadership when John Curtin died a month before the Japanese surrender and saw the people, under the Government, as the rightful owners of all air transport in Australia. He told Parliament that the only workable monopoly was a Government one and he advocated all air transport should come under its control. 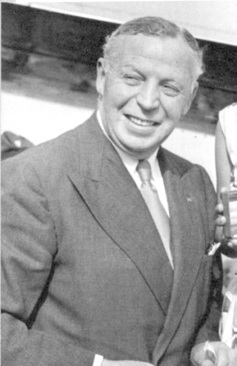 His initial measure passed both Houses of Parliament in 1945, and was to establish a company called Trans-Australia Airlines (TAA) to monopolise interstate air transport. This measure was to force Australian National Airlines Pty Ltd., (ANA) out of business. This company, the second to carry the name, was registered in Melbourne in 1936 and operated by Captain (later Sir Ivan) Holyman. Mr Chifley’s hatred for Capt. Holyman bordered on the paranoid. The verdict of a test case in the High Court ruled that; while the Commonwealth of Australia could operate its own interstate airline, it could not prohibit private enterprise from competing. Mr. Chifley seemed incapable of learning the pitfalls associated with nationalisation and a little later he failed to nationalise the banks – that began his political decline. Meanwhile, ANA used the High Court ruling to expand into the overseas markets of the Pacific. Between September 1946 and April 1948 ANA made 255 trans- Pacific crossings on an interim licence, which was withdrawn when Mr. Chifley succeeded in launching an International carrier called British Commonwealth Pacific Airlines (BCPA). In the trade BCPA was crudely translated as Ben Chifley’s Private Airline, and occasionally irreverently as Belt Christ out of Pan-Am. The shareholdings were 50 per cent Australian, 30 per cent New Zealand and 20 per cent by the United Kingdom. But whatever the holdings BCPA was created solely to drive ANA from Pacific skies. 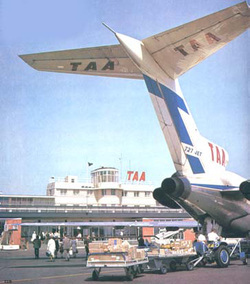 For many years TAA remained a successful enterprise, sharing Australian airspace with Anset, which had absorbed ANA. 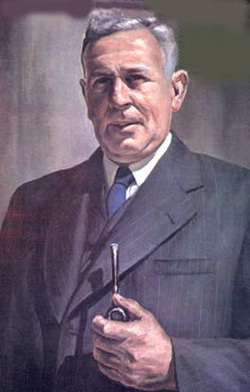 Mr. Chifley’s creation BCPA was in turn absorbed by QANTAS in 1954 when the United Kingdom withdrew from the agreement. This then is a precis of the confused state of operating in Australia’s airspace. Meanwhile, charterers aplenty were carving sky paths between southern Europe and Australia. The average price was £A300 for each adult or child from Greece or Italy and not a seat was empty. In comparison QANTAS carried a mere trickle of these people indicating they also were operating to capacity. So why protect an airspace that the Government carrier did not have the resources to service? To protect the greed of TAA the Department of Civil Aviation (DCA) placed impediments on the charterers and, consequently our new citizens. For example, when a chartered plane reached Darwin all the passengers were off loaded and told TAA would take them to their Australian destination the next day. Many had no money to pay for a scarce hotel room and with the waiting area bursting at the seams they slept on the beach. When the numbers exceeded beach space the carrier was ordered to proceed to its Australian destination. This played havoc with management’s plane utilisation, as they had no idea of the Department’s current mood. Yet, the Babbitts of DCA were in no way influenced by reports of hardship. This uncertainty led some charter operators to dump their human loads in Asian cities. This understandable but inhumane attitude left others with greater moral fibre to tackle the Australian Civil Service bureaucracy. These operators were putting every plane they had on the line whether serviceable or otherwise. They would dump a load of hopefuls in Singapore, Rangoon or Calcutta and rush back to Europe for another load. Occasionally, a worried local government would put a brake on the flow by closing its air space to the charterers. I have heard that if you stand in Trafalgar Square you will meet every friend ever made overseas. During the Migrant Charters the same could be claimed for the Arakan Coast, which runs the length of Burma’s northwestern boundary. The advantage over the Square was that there were no excitable pigeon voids to negotiate - just clean radio waves. Faces that had languished in dusty archives were revived by voices that recalled every feature. Some of these were Ken Lockyer, Lionel van Praag, Warren Penny and Leo Bennett. I had not heard from Leo since seeking my aeronautical fortune in foreign skies. His position report put his aeroplane over Akyab at 7,500 feet. His skipper was the erstwhile Royal Aero Club of N.S.W. chief instructor A.J.R. Murray. who gave me a night endorsement on a DH-60 Gipsy 11 Moth on 10 May 1943. Another unforgettable voice would remain just a voice for almost half a century, and belonged to Greg Board. In his superb book Everything but the Flak, the author, Martin Caidin, provides a record of Greg’s exploits, describing him as The Amazing Mr. Board. Although apt, Greg Board’s deeds demand a good deal more. I first learned of Gregory Richmond Board when he was a test pilot for the Australian Commonwealth Aircraft Corporation Boomerang planes. When he sat in a plane it was not as an addition -he completed the design. After the sneak attack on Pearl Harbour Greg Board fought the Japanese Zero fighters in Malaysia. 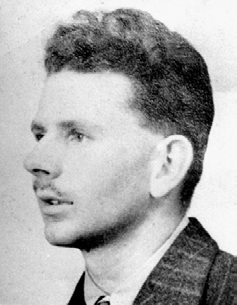 He was posted to Sembawang, Singapore in November 1941 then later to Ipoh, Malaysia. At Ipoh he deliberately retracted the undercarriage of his Brewster Buffalo to prevent colliding with another Buffalo making a forced landing on a cross strip. Although his Brewster Buffalo fighter was outmatched he flamed several enemy planes, and when his fighter exploded in flames he rolled it onto its back and took to the silk. He walked out of the jungle and the next day was back in the air. He hurled his Buffalo into the fray making the Nips regret the missed opportunity of finishing him off. Location of Sembawang on Singapore Island. In later years we chatted about his air force service in Malaysia. He quietly responded to his jousts with the monkey men but became boyishly enthusiastic about the logo on his Buffalo. It seems there was a current Walt Disney character that resembled an eagle or a cockatoo, he couldn’t be sure! 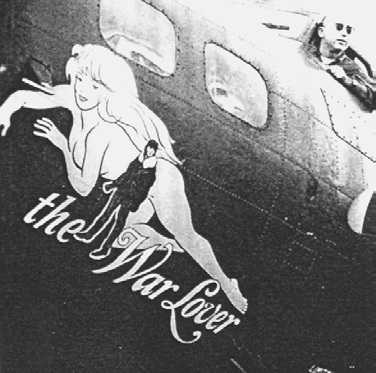 When Greg painted it onto the fuselage of Buffalo W-138 he added boxing gloves and named his mascot Oscar. Left: Brewster Buffalo W138 and Greg Board made a dangerous combination. In his hands the old, slow and poorly armed Buffalo out-matched the modern Japanese Zero. Greg’s mascot Oscar is visible on the left fuselage just forward of the cockpit. The Buffalo write-off at Ipoh, Malaysia. When his plane came to a stop the engine had disappeared and he was looking into a river. (Photo: Greg Board). DC-5 VH-ARD - New Holland Airways flagship. 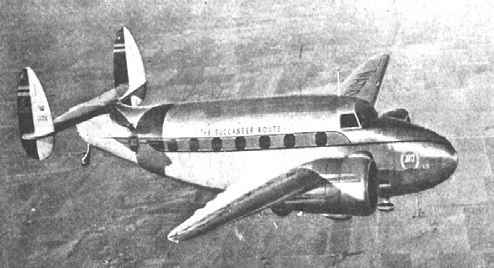 In 1949 his company New Holland Airways entered the Migrant charters with a fleet of a five planes - two Lockheed Hudsons, a Lockheed Lodestar and a Dakota. However, the pride of his fleet was a DC-5 purchased from Australian National Airways (ANA). For a time Ken Lockyer commanded the DC-5. When the Government’s new legislation reserved the Australian skies for TAA the Department of Civil Aviation demanded that he return his planes to Australia. Greg ignored the Australian Government’s manifesto and sold the main part of his fleet to Israel whose airforce wrote off the DC-5 in a ball of fire. Meanwhile, Greg migrated to the United States. 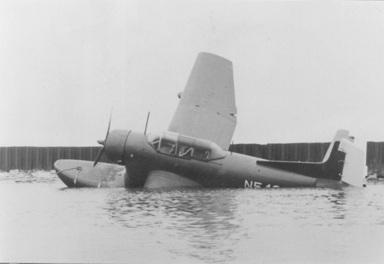 Columbia Aviation built two Columbia XJL flying boats. The X in the American system means experimental. 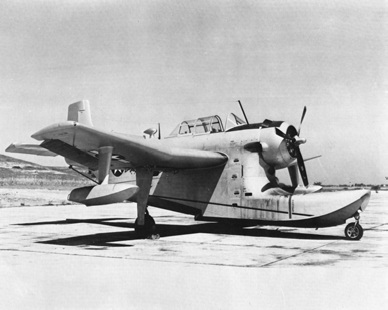 The planes were single engine single float design and could carry 14 passengers. The first of these experimental planes crashed and the company shelved the project. 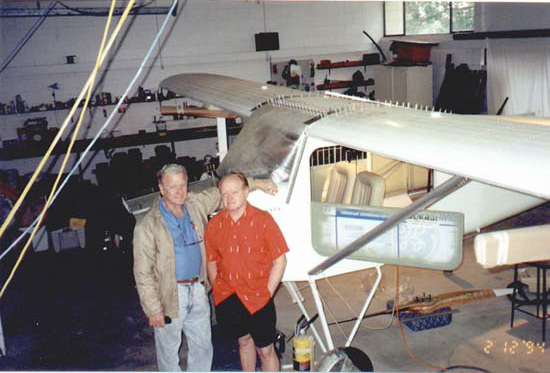 Greg bought the rights and continued to develop the other plane. The department certified it as a Gregory R. Board Columbia with N54205 its registration. In his customary pixie way Greg named it the Jabberwock choosing this name from Lewis Carrol’s Alice, Through the Looking Glass. With glee he quotes the pertinent passage - therefore, he drew his vorpal blade and slew the Jabberwock. During a landing on the rough windswept waters of Lake Michigan a fisherman’s buoy, hidden by the chop, tore off the port float. The unstable plane began to sink. The Coast Guard took him in tow with Greg spreadeagled on the left wing to stabilise the plane. Finally, they beached it on sandy spit where he repaired the float. When he started the engine it gave an expensive clunk – he had broken a connecting rod. The Jabberwock is part of aviation history in the Pinal County Aerodrome Museum. Columbia ‘s XJL flying boat did not impress me as a beauty but its 14 passenger seating was worthwhile for its day. Shows that a submerged fisherman’s buoy was the clear winner. Never one to rest on his laurels, in 1961 he organised a flight of three B-17 Flying Fortress planes from the States to England. They were for the movie The War Lovers. Greg and his men did the flying sequences for what proved a splendid production that starred Steve McQueen. Having gained a liking for the movies, in 1964 he was back in England flying the camera platform for the wonderful movie 633 Squadron. For much of the hundred minute screening he pushed his B17 through narrow canyons emulating Norwegian fjords, making actors Cliff Robertson and George Chakiris look good and giving Walter Grauman, who directed from the co-pilot’s seat, a crop unwanted grey hair! Lisbon Airport, Portugal, readying the B17 for its final leg. Right: Greg Board gazes at his co-pilot Martin Caidin with disbelief! Martin Caidin looks the part in Blue One. Two old fogies living in the past. The pirate feels the plane that the rebel is assembling is aptly named– Murphy Rebel. R/O Ken Wolinski relates one of Cathay Pacific’s migrant charters. His plane was Betsy and her skipper was John Furley. The charter began at Rangoon bound for Darwin with technical stops at Bangkok, Singapore, Soerabaya and Kupang. At Singapore the ground engineer found a broken rudder-hinge, and it came as no surprise to find no spares available. It appeared Cathay would lose heavily on this charter with 28 migrants eating their heads off in Raffles Hotel at company expense. Then Furley remembered he had RAF chums at Changi Airfield. They grabbed a taxi and soon were breasting the bar at the RAF Officer’s Mess, surrounded by Furley’s old friends, each determined to buy the next drink. 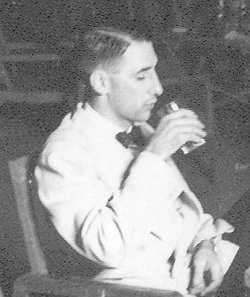 The total mess bill amounted to about twelve to fifteen Straits dollars, but since it was Air Force duty-free grog that is no indication of the amount consumed. Other bureaucratic interference harassed the migrant runs, and in March 1948 a Lockheed Hudson owned by Warren Penny of Sydney firm Intercontinental Air Tours, was delayed in Rangoon. This arose when a delayed export permit for funds prevented the Hudson refuelling. When the funds were approved they were sent to the wrong bank and remained there unclaimed for a week. Meanwhile, 14 Greek migrants ticked up a massive bill for hotel accommodation. In the media Mr. Penny screamed unfair tactics by the protectors of TAA. Cathay Pacific used another of its no frills DC-3s to fly 17 seamen from Calcutta to Sydney with other passengers. Like Betsy it was a war transport type with bucket seats and minimum facilities. A seaman agitator induced the others to leave the plane at Singapore. Captain Furley explained the conditions were normal for moving the migrant from the backlogged cities. His charming explanation seemed to satisfy the malcontents who trooped aboard and the flight ended without further incident. Yet, the Sydney Daily Telegraph of 24 April 1948 published a story headlined, PASSENGERS BAN PLANE. It appeared the seaman agitator found the ear of a reporter with a yen for stirring. During the subsequent months frequent news reports presented the plight of migrants suffering under the air protection policy. In June the Daily Telegraph ran the story of 40 people arriving in Darwin at 18:00 hours and spending the next 11 hours clearing Customs and Immigration. ANA’s Captain Ivan Holyman returned to the fray when he negotiated an agreement with the Ceylon Government. With a 49 per cent stake ANA began operating in parallel with Air Ceylon on its London-Sydney service using four DC4 Skymasters. 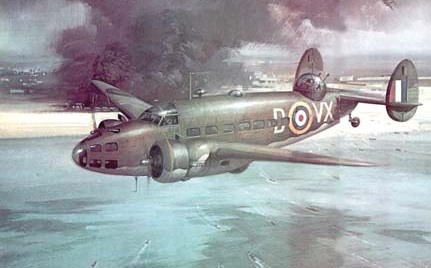 Within three months Australian DCA refused Air Ceylon onward clearance from Darwin to Sydney. The Department accused it of operating charter flights in Australia without authority, but under media pressure next day the DCA admitted it was merely following the Government’s protectionist policy. The fact that the national carrier Qantas was still operating with standing room only made no difference whatever to these uncivil servants. This childish war of attrition continued until 14 August 1949 when Capt. Ken Lockyer did a moonlight flit from Darwin in a DC3 owned by Guinea Air Traders. He took off without an approved flight plan and ignored a red light that meant Stop. Clear strip immediately. As he passed the Tower he dodged a series of red flares that seemed deliberately aimed at his plane. Of course, Ken was wrong, and off the record he admitted this to me. Yet, out of sympathy for his migrant passengers he made his stand. Andreas Sehx, Stylianos Kleanvoos, John Goerchios, Andrew Spanos and the other migrants were practically destitute. Ken’s action went ahead of his plane and when he landed, uniformed watchmen struggled with investigative journalists who used exploding flash bulbs for protection. This was grist for the media mill and an enraged public quietened the over zealous officials. Ken’s courageous but foolhardy action was the catalyst that brought a less obstructive reception to our new citizens. The normally intransigent DCA did not suspend his licence and brought parole for Lionel van Praag, aother direct man who had lost his licence for pulling a similar stunt a few days earlier! Sydney born Lionel van Praag was a speedway motor bike racer who in 1936 was an easy winner of the first Official World Championship. He was also a World War 11 hero, serving as a staff pilot with the RAAF. 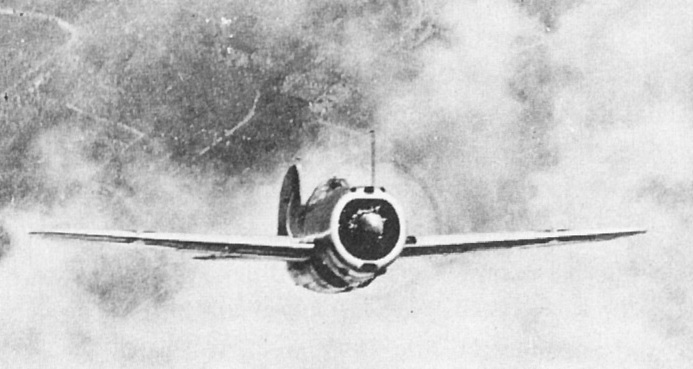 In 1941 Japanese fighters attacked his unarmed Dakota and blasted it from the sky. The heroic way he defended his command won him the George Medal. This made no difference to our bureaucrats whose only claim to fame was the power they wielded. And they thoroughly enjoyed every moment of wielding that power!